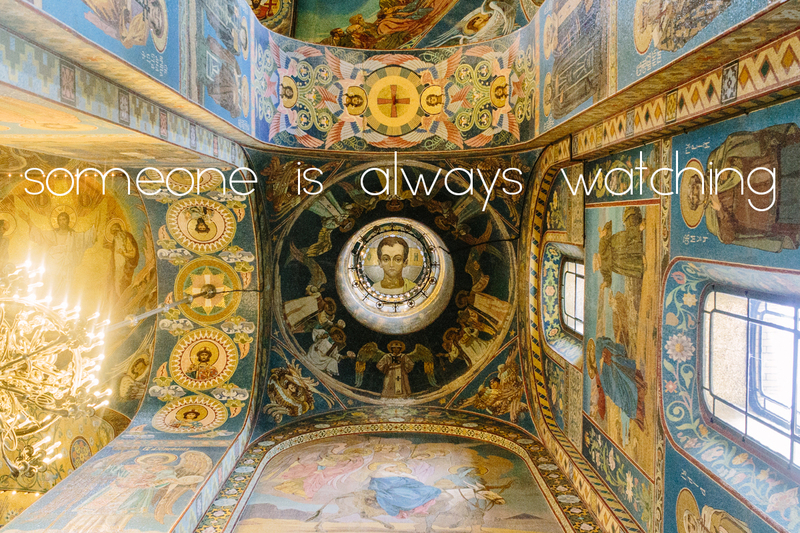 Always look up at the Church of the Saviour on Spilled Blood. Why go to Russia? Because it is an empire with the richest and deepest of cultures and histories. It’s the world’s largest country. And St. Petersburg is magical. It’s Europe’s Disney World. Take Paris, Vienna and London and blow them up on an epic scale. So when I was invited to Alina and Matt’s wedding, my response was “hell yes.” Our hosts, my college buddy Alina is Russian-Canadian, set the best scene ever for their destination love fest: St. Petersburg. Setting aside world affairs and geopolitics, we landed and set out to eat and see everything we could devour in five days while I tried to catch up with friends I haven’t seen in nearly a decade. Because globalization works that way. Anyways. We barely scratched the surface. 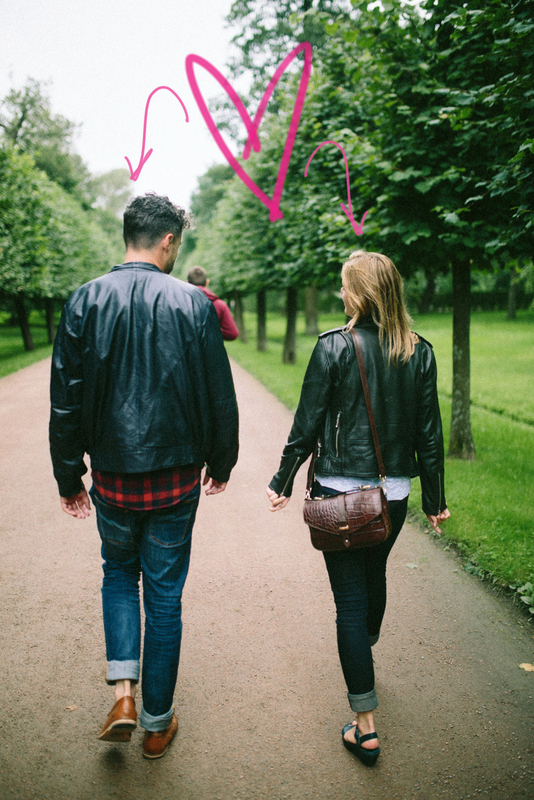 But I thought I’d share a few little tips and tricks (like Svetlana’s gorgeous Airbnb we stayed in). Pelmeni (upper left), kninkali (upper right), and finish off with sour cherry vareniki (lower left). Yes more please. I’m proud about my culinary heritage and the little morsels it has to offer. 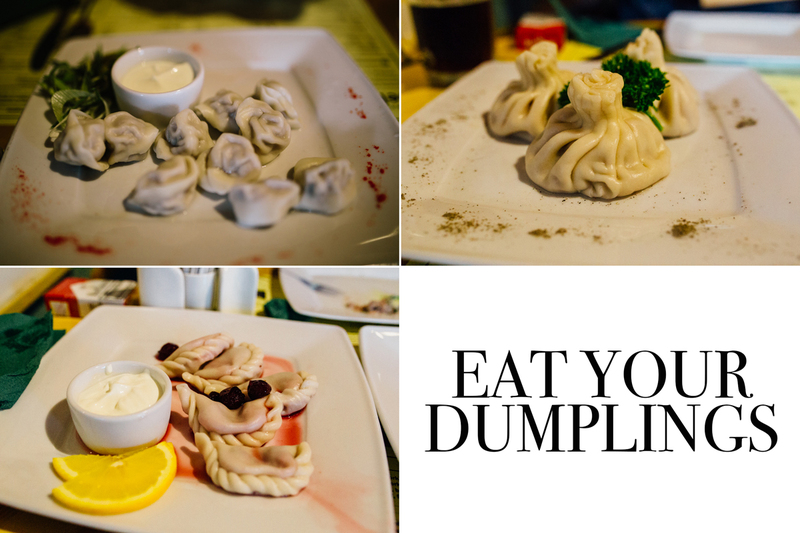 But then I had dumplings in Russia and opinions definitely changed. Don’t tell the ancestors please. Pelmenya only serves Russian dumplings. They are all delicious. There are sweet ones too and you should order everything the menu has to offer and wash it all down with a cold mug of kvass. Epic wedding aside, some of my favourite moments on this trip surrounded food (don’t they always?). I haven’t seen some of these college buddies for years and I’m so happy that we got to catch up over three course meals in gorgeously curated restaurants. The sun never sets in St. Petersburg, so I had no idea three hours had past. By far my favourite was The Idiot. Yes, that Idiot. 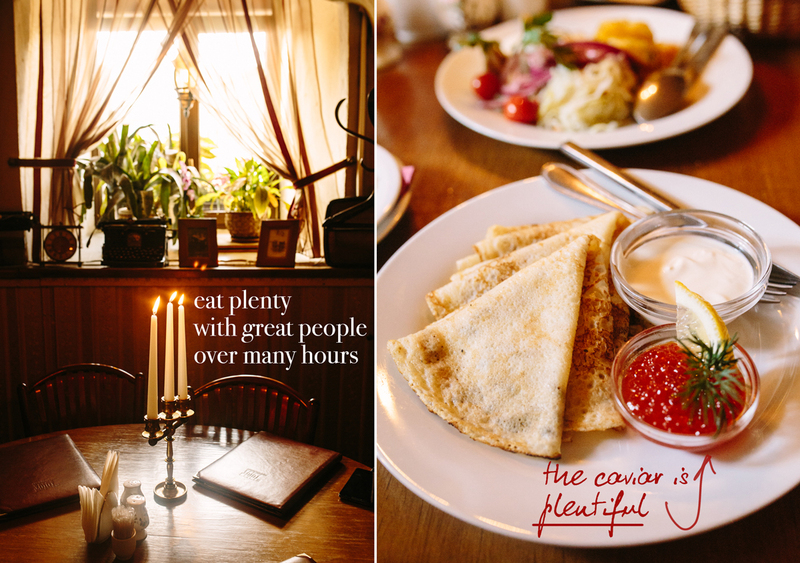 Set in the basement in a centuries old building in the center of St. Petersburg, The Idiot offers the best of traditional Russian fare and they make sure you start it off properly: with vodka. This was naturally followed by caviar. Sadly, there was no room for the course of deep fried cottage cheese. I mentioned that St. Petersburg is Europe on steroids, right? Because it is. You completely get a sense of the grandeur of the empire. Everything is gilded in gold. You’ll also want to get a proper Russian spa day with a good massage since your neck will always be craned upwards. 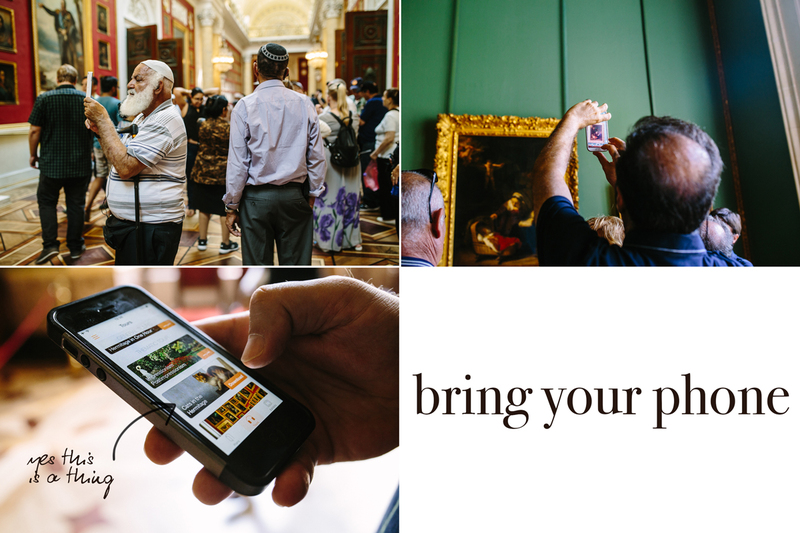 Start it off easy with a trip to the Church of the Saviour on Spilled Blood (see top photo). From the outside, you would never guess the bloody history. It looks a bit like Candyland, doesn’t it? But once you enter, you won’t be able to stop looking. The entire church is a mosaic. You know all those words they use to describe epically beautiful things? Resplendent. Imposing. All of those are in this building and pretty much everything you will see in St. Petersburg. 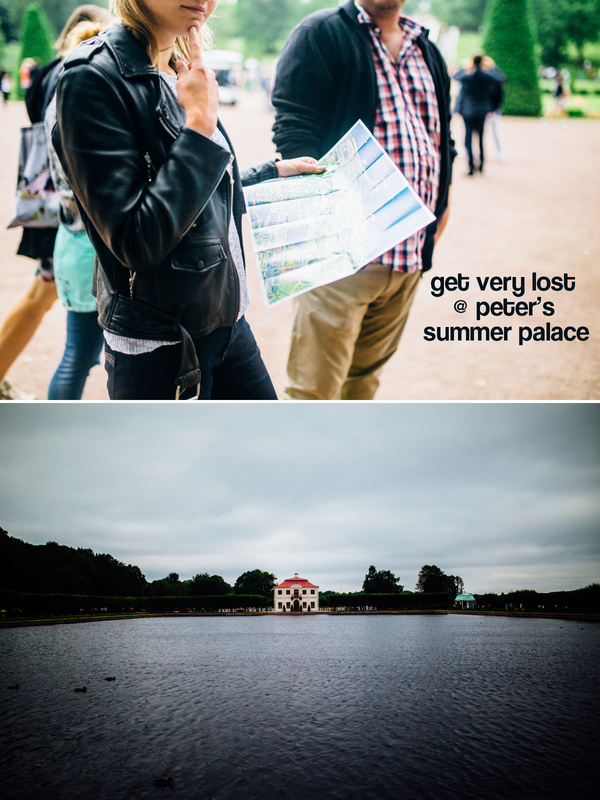 Like Peterhof, the summer palace (as opposed to his Winter Palace), of Peter the Great. For 750 rubles, take a 40 minute hydrofoil ride to what is basically a big royalty park. 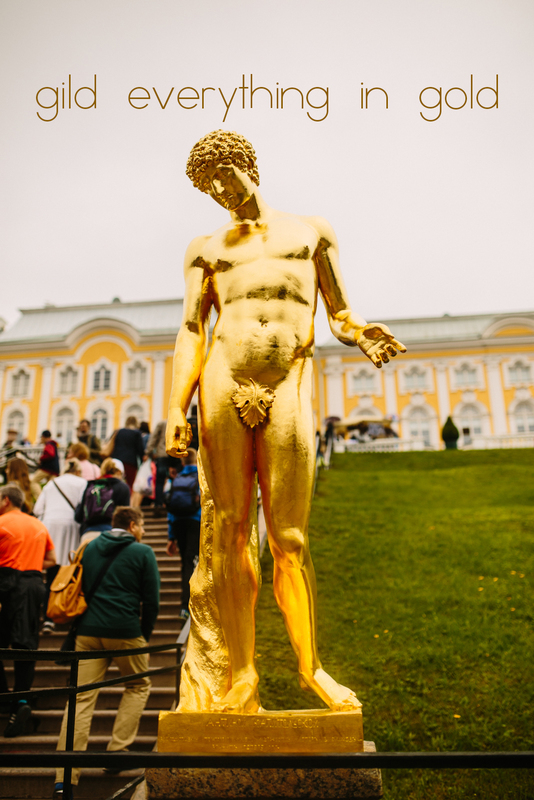 Entry to the site is another 500 rubles, and each museum or historic building also requires additional fees (about 600 rubles for the Grand Palace). But it is well worth it and do spend a day wandering through throne rooms, salons wall papered in Chinese silk, fountains and gold. 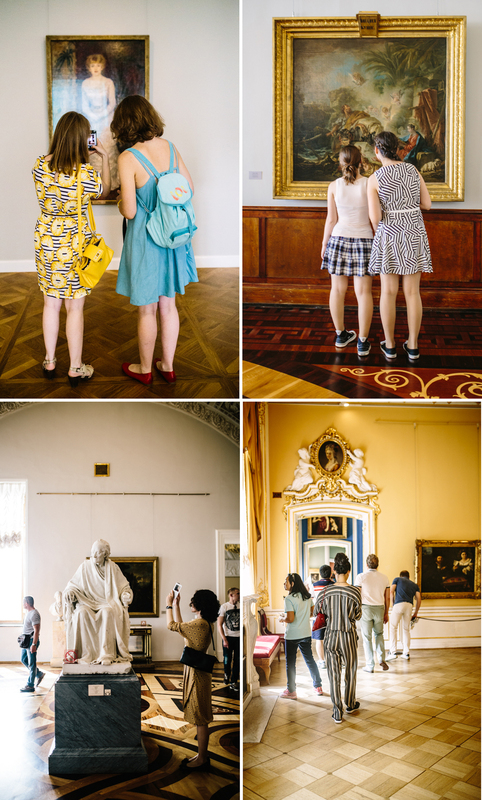 We capped off the five day spree with an entire morning and afternoon spent at the Hermitage. You can hit up both buildings which separate the classical Russian from modern impressionism and all the Kandinsky you could soak up. This will take you about seven hours, but it’s kinda worth it. It’s also worth it despite the crowds and the never ending scene of smart phones raised up high. They even have apps to take you through it all if you’re not the type that wants an audio guide (me). Just one important tip: skip the ticket lines! They’re ridiculous! Look to the left and you’ll find ticket machines with…wait for it…no line. Okay so after all the eating. There’s the drinking in St. Petersburg. We didn’t quite get into the mixology scene, but we did discover a few little secrets. Rooftop cocktails at the Kempinsky or the terrace of the W Hotel. 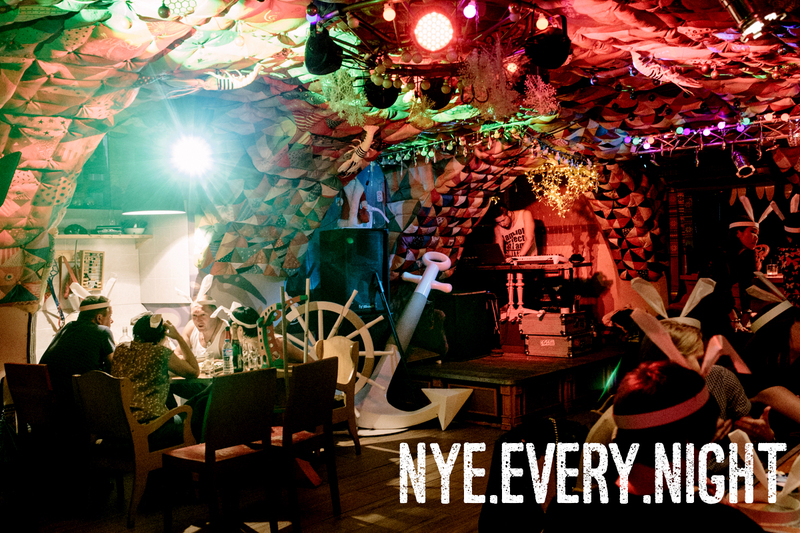 Or perhaps you want to get a little freaky and take part in Russian drinking games at Purga, where every night is New Year’s Eve. And all the hip kids hang out at Terminal Bar and all the other establishments on Belinskogo Utilisa, just by the Fontanka River. I’m gonna cap off this post with a midnight boat right. 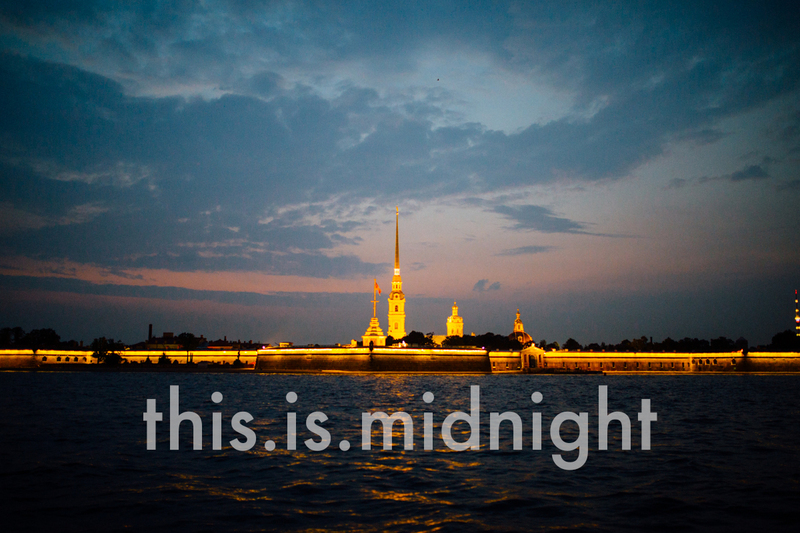 Russian summers are known for its white nights, so why not explore Venice of the north at midnight? Oh right. The important details. Go to Russia now! The ruble is weak (about 67 rubles to 1 USD) and everything is so affordable! Get around on public buses (30 rubles, or about 50 cents) and the metro (28 rubles). Admiralteyskaya Station is the deepest in the world. The escalator rides are epic like the rest of the city. If your feet can’t do it anymore, Uber is also available. Get your visa first! 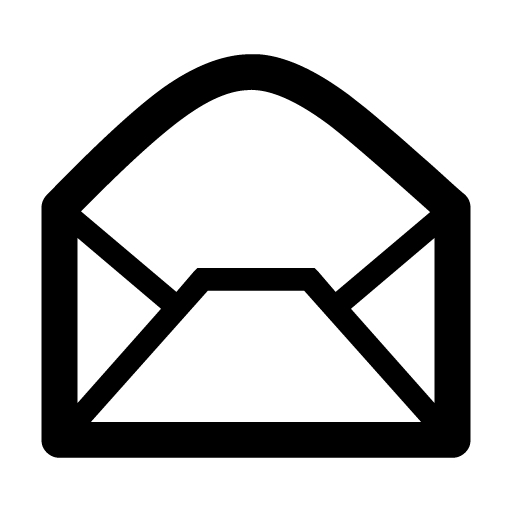 Either with an invitation from your hotel or through a travel website like this one. All photos by Tiffany Tsang. Please request permission for use. Cait+Tiff are not liable for any vodka induced poor decisions. Categories: Europe, goaway | Tags: by tiff, Russia, St. Petersburg, travel | Permalink.